Great stove, excellent build quality. Nice even heating. Great stove, excellent build quality. Nice even heating. 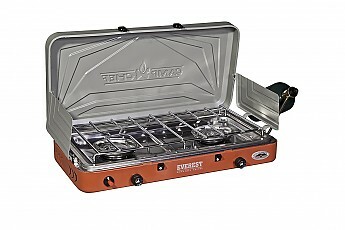 Great car camping stove. I purchased this stove to replace an older Coleman model that I had, and I have to say I am glad I did. 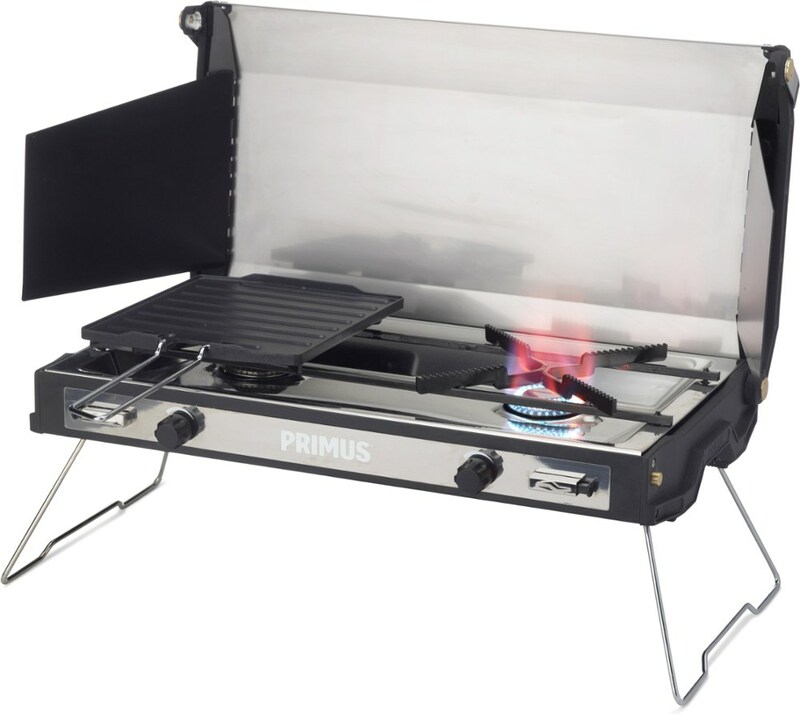 This stove is perfect for car camping, in fact I even purchased an extension hose and use it on the side of my Coleman Pop Up camper as an external stove. It works amazing! The burners light instantly, they provide nice even heat, and they are adjustable from a slow simmer all the way up to 'instant charcoal'. This stove has two burners that each put out 20,000 BTU. 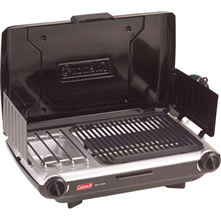 It has a nice stainless steel drip tray which makes cleanup a breeze. 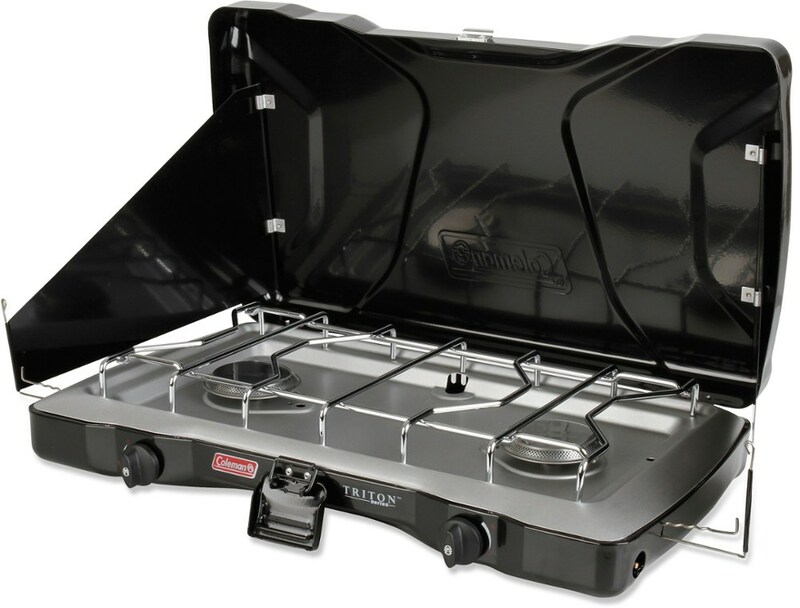 I have used this stove on several occasions, including a cross-country trip with my popup to the Grand Canyon. It has never let me down. 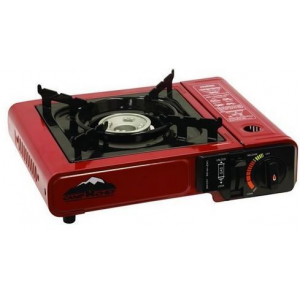 It lights easily and instantly with the pushbutton ignition, and there is enough room and power to use a cast iron pan on one burner and still be heating a pot of water on the other. Thanks for the review, GCap48. I hope your Grand Canyon trip went well. 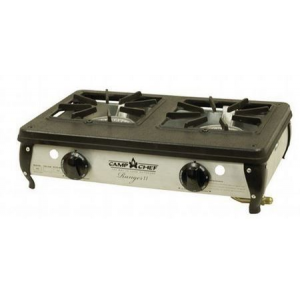 Best 2 burner stove on the market. Well made, reasonably priced, and you can really turn up the heat! 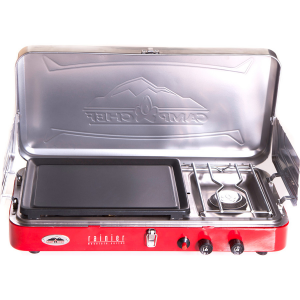 When looking for a camp stove we didn’t really need or want too many bells and whistles. 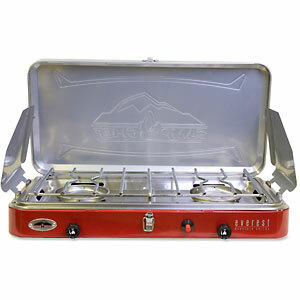 We wanted a lightweight two burner stove that was built to last. We were also hoping to find something that could dish out some serious BTUs. Well this baby packs a punch. 20,000 BTU per burner is something you don’t really see in a stove this size or at this price point. And add onto that that this bad boy it built tough, and you couldn’t ask for a better product.